When I had Duke back in 2011, I had no idea what I was doing. How many times am I supposed to feed this baby anyway? Can he just sleep in the bouncer forever? I was clueless. I was also frustrated. But when I started Babywise at 3 weeks old, things began to fall into place. 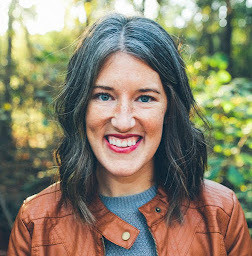 No, life wasn't perfect and the postpartum depression was still around, but there was a rhythm to my day and I was in desperate need of that. Duke was a textbook Babywise baby so I knew I'd use the same methods on Nova when she arrived. So far, Nova and Duke have been very different. She came a million years late while he came right on his due date. She's been formula fed since she was 2 months old, but I was able to nurse Duke for a year. She rarely spits up while Duke, on the other hand, soaked large bath towels after every feeding and in between feedings. Nova dropped the DF before the MOTN feed while Duke dropped the MOTN feed before the DF. They are two different children who have different personalities and different needs, but Babywise has worked wonderfully for both of them. I was a pretty strict Babywise follower with Duke as a baby. I remember occasionally hearing, "Oh, just wait til you have your next one. You won't care about that stuff!" While I am more easy going about things with Nova, I didn't just toss everything out the window. When you find something like Babywise that is this beneficial for you and your children, you're not going to throw it aside just because it may be a bit more complicated to manage two sets of schedules all day long. I wanted to share the things that I have been more relaxed about this time around. These are small things, but knowing that every day will not be a perfect textbook Babywise day is helpful for me. A little extra slack given in moderation will not create bad habits. Babywise does not encourage snacking. It focuses on full meals so that your baby or child is not eating constantly throughout the day. I do not let Nova snack, but I will say this - if I'm going to an appointment or I'm going to be running errands and pushing her naptime or she's in the church nursery, I'm not worried about her munching on Cheerios and drinking out of her sippy cup just to keep her happy and keep the intensity level down. With Duke, I would've worried I was going to create a habitual snacker for life. An 18 year old that will never stop eating and does not know how to control his food intake all because of THIS. There are moments when you need to pull out the snacks - for your kids' sakes, for your sanity, and for the ears of the people around you. I want to have well-rested kids just as much as I want to have my precious alone time every day. So even though I am more flexible with naps, do NOT hear me say "we just don't take naps or worry about naps or try to keep them consistent." We LOVE our naps around here. Here's what I mean when I talk about being more flexible. I do not worry about Nova only taking a 45 minute morning nap at church every Sunday. I do not worry if she wakes early from a nap at home. Yes, I get frustrated and annoyed because my alone time was cut short, but I am not concerned for her well-being. I do not worry about Nova having to take a little 3rd catnap on Wednesday evenings before church because of how her naps get interrupted due to school pick-up. So when it comes to flexibility in naps for me, it's mostly about my perspective and how I can loosen up when an off day happens. Waketime is very important in the first few months of life. For me, it's been very crucial to figure out the most optimal waketime for my children in order to guarantee good naps. But eventually, you come upon a certain age, dependent on the particular baby and/or the parents, where the waketime or the time that baby goes down for a nap just doesn't matter. It doesn't mean a longer or a shorter nap. I hung on to the formula and preciseness of waketime with Duke way longer than I held onto it with Nova. Neither is right or wrong. It's just a preference of how you like to do things coupled with your baby's personality. I remember a season of Duke's life when he always ate dinner at 6:00. If for some reason we were elsewhere and dinner would be served at 5:30-5:45, it sent my mind into a whirl. What if that's too early for him? What if his dinner doesn't carry over into the night and he wakes up hungry? What if he doesn't sleep through the night? Very silly. But you can't blame a young, new mom for feeling that way! Nobody wants to give up a great schedule and an amazing night of sleep! But now, I see the bigger picture and I know that if a mealtime has to be tweaked, it's okay. Maybe none of these are monumental thoughts and maybe they seem obvious. But these are the ways that Babywise has become more relaxed to me with my 2nd child. I didn't/don't compromise on the basic concepts, but I know where there's room to fudge a bit. As a general rule, what you do on MOST DAYS is what your children will expect. If a couple days a week are wonky or off-schedule, your kids will bounce back. And if they don't, then you know you've pushed too far. They don't mind letting us know! If Nova gets 3 days in a row of napping elsewhere, short naps, or something along those lines, she will make it clear to me that she is not a fan. Sometimes it will take a day or two to get back to normal. So right now, at almost 11 months, 2 days of crazy in a row is her limit. Another example - if the day comes when your toddler thinks he gets to eat whatever he wants whenever he wants, then you've probably given him that impression. They will let you know when you've loosened the reigns too much. To the strict Babywise moms of 1 - You are not silly, you are not rigid, and you are not unexciting. You may feel all of that at some point, but don't let the moms of more children make you feel lesser because of how precisely planned your life is. Sure, you'll probably loosen up a bit if you have another, but it's certainly not required. If that is the way in which you parent best and most comfortably, then continue on! 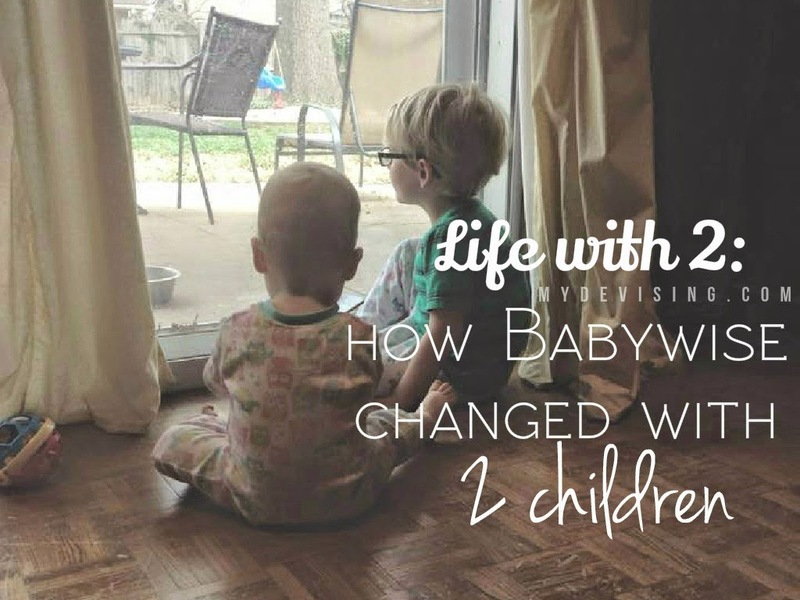 Has your implementation of Babywise changed as you've had more kids? What's different about it?